Enriched with soothing French Pink Clay, they’re perfect for dry, sensitive skin and helps to soothe irritations and add a burst of moisture. 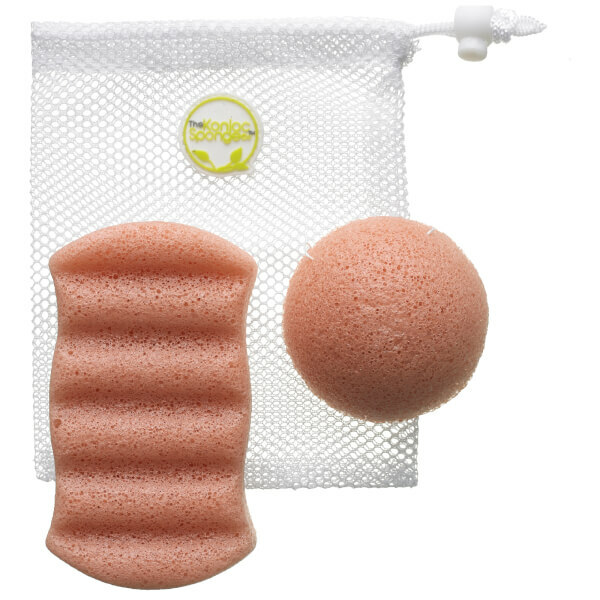 The innovative biodegradable sponge has a unique net-like structure that turns silky soft when wet and works to deeply cleanse and gently exfoliate; eliminating impurities and stimulating blood flow and cell renewal. Konjac is a natural wonder – it’s been used in Southern Asia for over 1,500 years as a medicinal and beauty treatment, and it is alkaline based thus balances any acidity in skin and restores optimum pH levels.